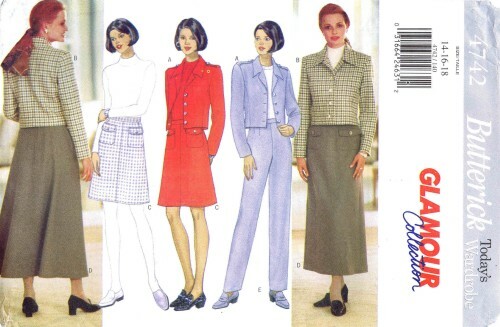 1990's Butterick 4742 Sewing Pattern Misses' / Misses' Petite Jacket, Skirt & Pants: Loose-fitting, lined, below waist jacket has collar, collar band, shoulder pads, side front seams and long sleeves. 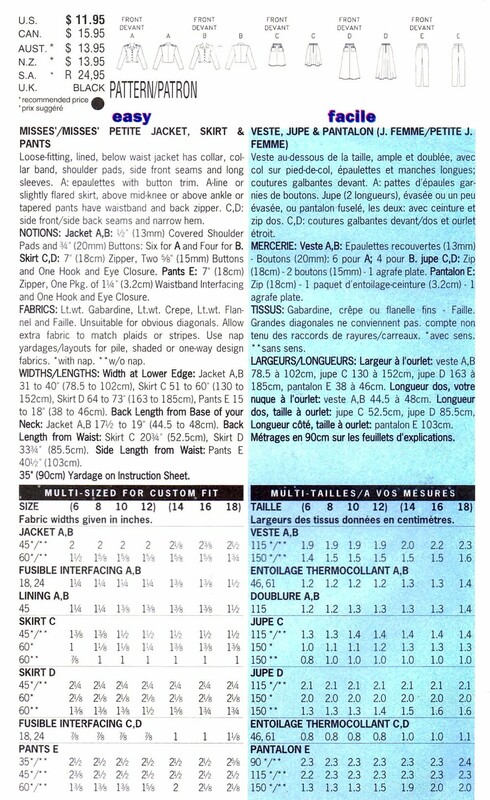 A: epaulettes with button trim. 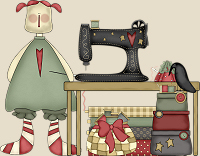 A-line or slightly flared skirt, above mid-knee or above ankle or tapered pants have waistband and back zipper. C, D: side front / side back seams and narrow hem.